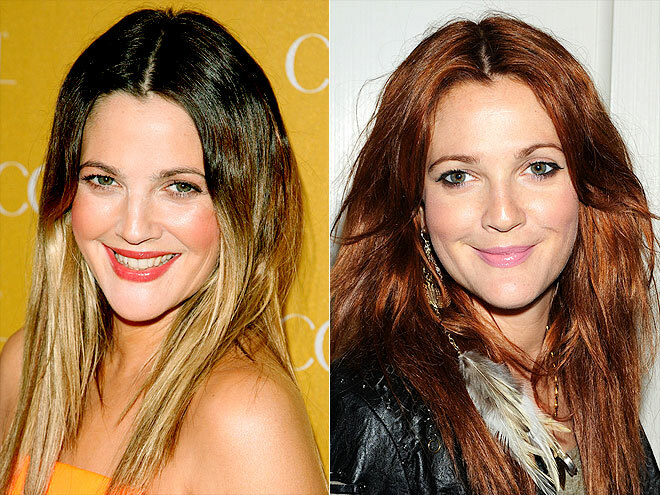 Celebrity style: Drew Barrymore’s haircolor knows no bounds! Will the true Drew please stand up? You may think we are being harsh on Ms. Barrymore lately, but we’re just wondering why she would wear downright ugly hairstyles when she can look like the redheaded or blonde Cover Girl she is … after all she represents CoverGirl, the makeup. This entry was posted in Celebs, Movies, star hairstyles, star makeovers and tagged blondes, Celebrity haircolor, CoverGirl, Drew Barrymore, Hair, ombré haircolor, redheads. Bookmark the permalink.